Dennis Chamberlin is an assistant professor of journalism at Iowa State University and a Pulitzer Prize-winning photojournalist. 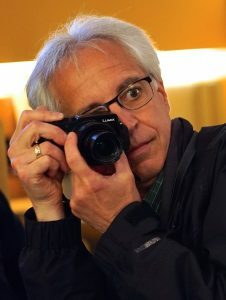 He has more than 20 years experience as a newspaper and magazine photojournalist and has worked for publications such as TIME, The New York Times Sunday Magazine and National Geographic. Most of his professional career was spent living in Eastern Europe, where he covered the fall of communism and reintegration of Europe for various publications over a 15-year period. He has spent most of his life shooting slide film but is now a strong advocate of the power of multimedia as a storytelling tool and focuses his own work and teaching on multimedia. He teaches photography in Urbino.